If you want to show off your business but stay warm then our personalised jumpers are perfect for you. Many companies opt for branded t-shirts, but if it's a little chilly they often get covered up, so keep your logo on show by adding custom jumpers to your arsenal. Our printed jumpers are a fantastic advertising tool to get your name out there. Keep your professional look in a practical way - buy printed jumpers from us today. We carry a wide range of jumpers from leading manufacturers, so pick what you want, then create your printed jumpers or embroidered jumpers online by following our simple 4 step system. We certainly hope your new personalised jumpers leave you with a warm feeling. Our embroidered jumpers are great for showing off your logo or emblem, and you can have a screen printing up to an a4 size with our printed jumpers. Want both? No problem. Our online process allows you to mix and match print and embroidery, so no longer do you have to choose between printed jumpers and embroidered jumpers. We pride ourselves on providing our clients with quality custom clothing, and our custom jumpers are no exception to this rule. Once you have placed your order for your personalised jumpers, our dedicated sales team will be in touch to approve an artwork proof before your custom jumpers go to print, leaving you in complete control. Printed Jumpers and Embroidered Jumpers don't need to be limited to large orders either - we accept orders of any size, so whether you are planning for a cold event, or if you just want to create so personalised jumpers for your family at Christmas, you can do it all through My Printed Clothing. If you want to know more about our printed jumpers, or you have never had personalised jumpers made before, then rest assured - we are experts in the industry. Want to talk to us before deciding on your custom jumpers? 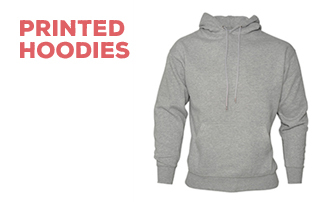 To talk to us about printed jumpers or embroidered jumpers email us or call 0845 850 9836 today.